It has snowed here no less than 3 times in the past month. I'm over it. This is the coldest winter since the 80s. I'm over it. I've been wearing flannel shirts and puffer vests like it's my job. I'm.over.it. But, there is good news. The forecast this week includes 3 days in the mid 60s. I'm so excited about the possibility of being warm(ish) that I can't contain myself. 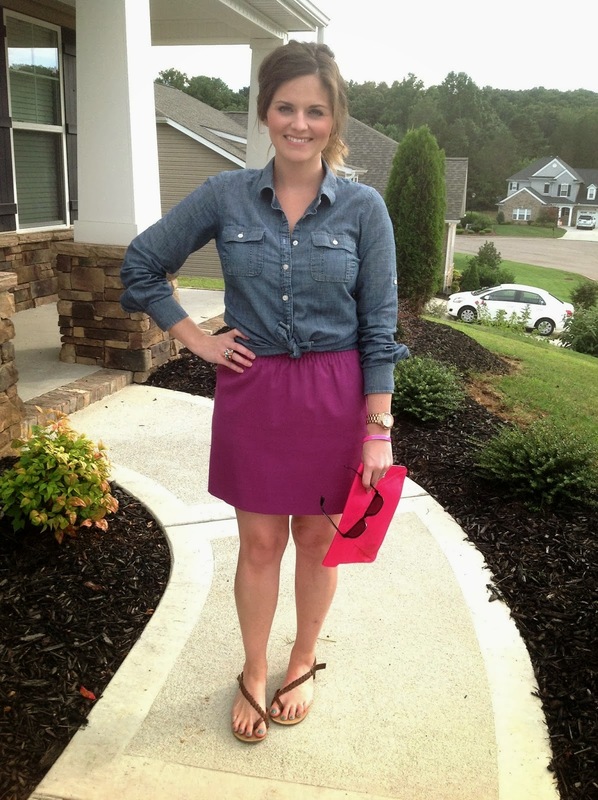 I've looked through the L&L archives to find some of my favorite warm weather outfits. This look is one my favorites. It combines my love for layering with my love for pastels. This look is may be my favorite L&L look of all time. I'm a sucker for polka dots and hot pink. This look makes me think about how awesome it is to wear skirts and sandals. Ah, to dream. This look I love because I love sheer, flowy tops. It's my MO for spring. What are you dying to wear this spring? Do you have a go to look? I'd love to hear about it! Until then, keep warm! I'm linking up for What I Wore Wednesday here. lovely layering! we go from layering is ok to not on your life in texas- too hot too soon. hi from the linkup! such beautiful outfits! 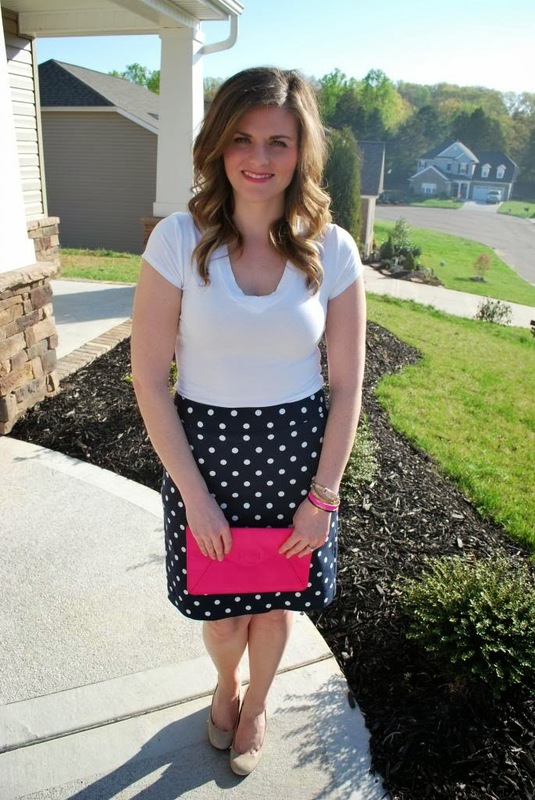 Love that purple skirt and the polka dot one! too cute!